I acknowledge this is a special order item and agree with the Terms and Conditions set forth within the corresponding tab below. The Fowl Play Automatic Trap has been sponsored by Chad Belding, a popular TV personality and host of the Outdoor Network's Fowl Life, and is a great way to practice your upland and waterfowl hunting skills off-season. 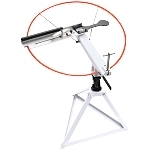 The Fowl Play Automatic Trap features silky smooth operation with a 25-target feeder tray that provides flawless transfer of clay pigeons onto the throwing arm. 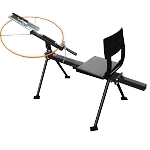 Throws clays 55 plus yards with a 5-35 degree angle of adjustment for different throwing planes. A safety pin ensures the arm does not fire in case of an accidental release and there is an adjustable limit switch for timing adjustments in the field. 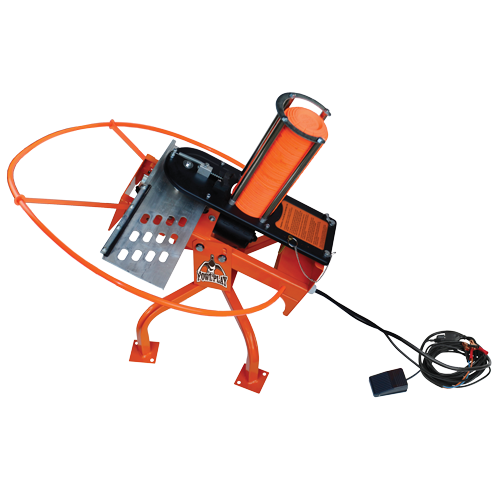 With a 25-ft foot pedal release cord and the ability to add multiple extension cords enabling you to get farther away from the trap, you will have better shootability and shot scenarios. 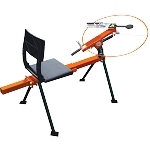 Crafted from professional grade materials including an aircraft aluminum arm, the Fowl Play Automatic Trap thrower should last for generations. 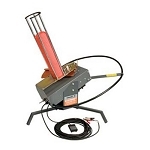 Ground spikes are included for superior hold and reduction of vibration. 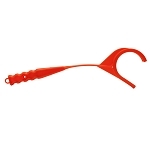 Attachable hi-viz orange safety ring provides a visual indicator of the throwing arm path. 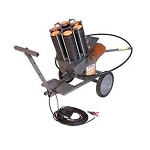 The trap thrower runs off a 12V deep cycle marine battery (not included). This is generally a SPECIAL ORDER item, but depending on the time of year this item could be in stock. If this item is in stock it will ship in 1-3 business days. If this item is out of stock, it will be considered a "Special Order" item and could take from 6-8 weeks to arrive, and in some cases longer depending on the time of year. Special order items are to be paid at the time the order is placed. The order can be canceled until the item ships, however the refund will be assessed 3% for payment processing fees. If we are unable to fulfill your order due to product unavailability, we will refund your purchase in full.